The Auckland Wind Orchestra, founded in 1967, aims to be New Zealand’s finest community wind ensemble. We regularly stage concerts in the Auckland region, performing a broad range of musical styles to a wide audience. Our players come from all walks of life, united by the desire to have fun while making great music. We always have opportunities for confident musicians – contact us to learn more about available positions. To see the generous people and organisations who have assisted our orchestra or to learn how you too can help, click: Support Us. 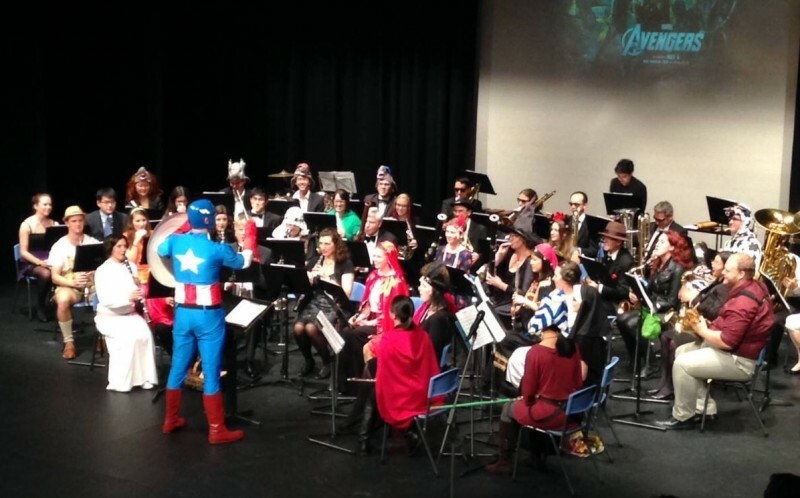 Both the members of the AWO and our junior band the AYSB, form the Auckland Youth Symphonic Band Inc. Click here to read all about it, and AYSB to see if our junior band may be for you. It is designed to bring the best out of younger performers. The orchestra maintains an Archive containing posters and programmes from former performances.